In the age of modern technology, it's no longer as simple as walking down to the corner payphone to conduct your organized crime. In 2018, there are cameras on nearly every city block, cell phones in every hand, and satellite imagery that can zoom close enough to read a license plate from orbit. It is with the help of technology that a record number of arrests and charges stemming from organized crime in Australia have been made over the last three years. A joint operation conducted by the NSW State Crime Command, the Australian Federal Police and other agencies over the last three years resulted in the seizure of over 1300 firearms and 12,600 rounds of ammunition. 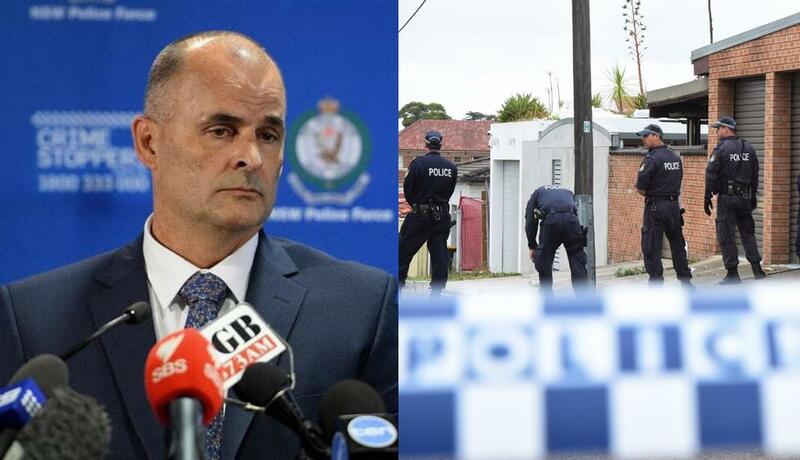 NSW State Crime Commander Stuart Smith proudly announced, "Strike Force Ayle and the requisite strike forces that go with it have resulted in 73 arrests and 660 charges." "We've charged a large number of syndicate members." One 29-year-old man was charged with running the criminal syndicate when he appeared before a Parramatta court. Police say the man was involved in the murder of a 35-year-old crime boss named Pasquale Barbaro as well as the death of a man from the Rebels bike club named Michael Davey. Both murders were carried out in 2016. The same 29-year-old suspect is also believed to be involved in the 2016 murder of Mehmet Yilmaz, also 29. Yilmaz was repeatedly shot at point blank range while he was in front of his fiancee's home in St. Mary. The same man is also charged with conspiracy to murder another Rebels biker named Ricky Ciano, 35, in 2015. Strike Force Ayle's three-year investigation resulted in numerous other charges related to drug and firearm possession, manufacture, and supply, explosives possession, money laundering, perverting the course of justice, fraud, intimidation, kidnappings, assaults, shootings in public places, and other various murders.